Kurumba Maldives is delighted to announce the reopening of its signature restaurant Thila, the aim of which is to discover and create a cuisine with a touch of the Maldives and an experience that invokes a sense of exploration and discovery. Formerly the ‘Ocean Grill’; Thila, in the local language, Dhivehi, means ‘reef’ and with this in mind, the restaurant celebrates contemporary interior design, with a feel of the Indian Ocean. The restaurant is constructed from distinctive materials such as lava stone, ceramic, travertine tiles and natural woods with blue finishings to compliment the nearby azure waters and cerulean skies. The composition of Thila has been enhanced to allow unforgettable experiences for guests, with dining available on the beach front terrace, first floor dining balcony, an overwater open-air deck or set amongst the waterside palm trees, with your feet in the sand, each of these areas has its own remarkable views, looking out onto the Indian Ocean. The two-storey restaurant boasts high ceilings under a traditional Maldivian palm thatched roof. With unique features such as a pond with a glass walkway and private dining areas, the impressive bar with sea views and an open display kitchen, exudes an airy and relaxed atmosphere. Premium Breakfast is served seven days a week, from 8am until 11am. Guests can enjoy sitting at the water’s edge and savouring à la carte hot main dishes, coffee, fresh juices and free flow of champagne. Thila is open for dinner seven days a week, from 7pm until 9.30pm. The core of the menu is fresh, quality seafood, prime meat, and products that speak for themselves. As vibrant as the underwater reefs of the Maldives, Thila offers a chic vibe, complimented with a striking modern interior, chilled ambience and a creative menu. The perfect venue for a truly romantic dinner under the stars, a refreshing and luxurious breakfast, or for savouring fresh cocktails and fiery Maldivian sunsets, by the sea.About Kurumba Maldives. Kurumba was the very first private island resort in the Maldives when it opened its doors in 1972. Kurumba draws on its proud history, charismatic personality and heartfelt service, to offer compelling and diverse experiences amidst a stunning island setting. Conveniently located just 10 minutes by speedboat from the airport at Malé, the resort offers nine distinct styles of accommodation, eight different restaurant outlets, as well a rich variety of recreation and entertainment activities suitable for honeymooners and families alike. 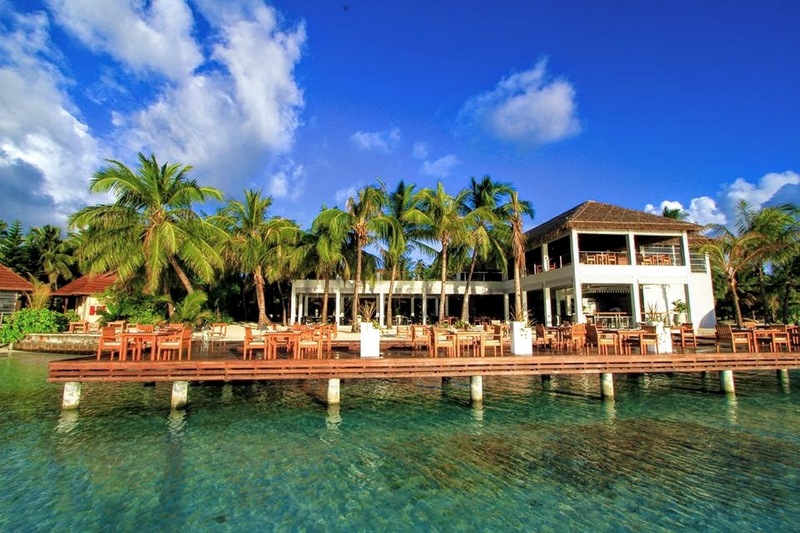 Over the years, Kurumba has played host to a variety of foreign dignitaries and Heads of State, including Indian Prime Minister Dr. Manmohan Singh, former UN Secretary-General Kofi Annan, and former US Presidents Bill Clinton, George H.W. Bush and George W. Bush. It has also been the recipient of numerous accolades and awards, including Maldives Leading Hotel (World Travel Awards) in 2010 and 2011, and Trip Advisor Travellers Choice Award for Best Service and Luxury (2013). Kurumba Maldives is set on a tropical island in the North Male Atoll, conveniently located a brief 10-minute speedboat ride away from the airport and Male, the Maldivian capital. Dotted with coconut trees that are the island’s namesake, Kurumba was the first private island resort in the Maldives. Lush tropical gardens, white sandy beaches, and a vibrant house reef are the hallmarks of this classic Maldivian resort.